Vice Provost Greg Cook will serve as interim provost and executive vice chancellor for academic affairs, according to an announcement from Interim Chancellor Cheryl Green on Friday. Elrod’s last day will be May 21. Her new job is at Indiana University South Bend, according to the announcement. UW-Whitewater will start its search for a permanent provost in fall. Cook previously served as a department chairman and professor of psychology, as well as director of academic assessment. UW-Whitewater is still searching for a permanent replacement for former Chancellor Beverly Kopper, who resigned months after the results of a sexual harassment investigation against her husband, Alan “Pete” Hill, became public. At the outset, the university’s goal was to have a new chancellor by June 1. 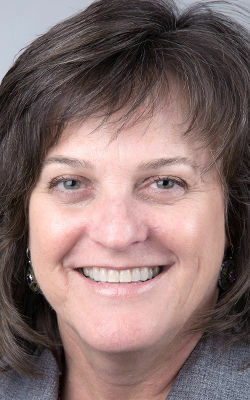 When she returns to the classroom in fall, former UW-Whitewater Chancellor Beverly Kopper will earn nearly 50 percent more in salary than the chairwoman of the department where she'll teach.